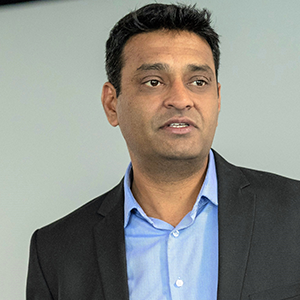 Sanjeev Jain is the CIO for EMEA Region for Verizon supporting Verizon Enterprise Solutions (VES) and Verizon Partner Solutions (VPS) serving Verizon’s large business and wholesale customers. In his current role Sanjeev and his team are responsible for delivering on the strategy, initiatives and solutions as well as the underlying network that supports them. Sanjeev leads a technology team spanning four continents in support of Verizon’s Digital Transformation and Global Technology Solutions. Sanjeev has a great passion for technology and how it can be used to help drive efficiency and improve both the customer and employee experience. He is a firm believer that it’s easier to help customers when you’re genuinely passionate about the services your provide. Sanjeev has led various consolidation, optimization and acquisition programs with the aim of transforming Verizon’s products & services, scaling operations and digitizing the customer and employee experience. He is very passionate about building a strong culture to support Verizon’s Digital Transformation. Specialties: Agile, Design Thinking, Digital, customer experience, problem solving, collaboration, teambuilding, transformation, change management, customer migrations, platform revolution, system consolidation, managed services innovation. When not at work you’ll often see Sanjeev at events sharing information and talking about the latest trends, and when not there he’ll likely be on the golf course.